We all saw the rumblings of this for years. Democrats want to destroy the Second Amendment, create gun registries, and eventually confiscate firearms. It won’t happen in a couple of years, of course. This is the long game. 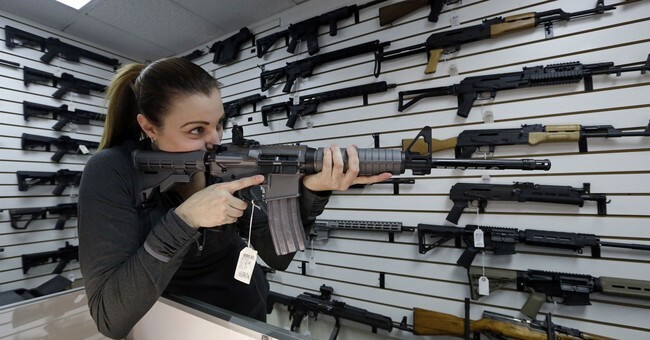 Emboldened by their state-level victories in Vermont and Florida, in which the anti-gun Left was able to increase the age to purchase all firearms to 21. In Vermont, they even got Republican (and at the time pro-NRA) Gov. Phil Scott to sign off on magazine limits. As you all know, 18 years of age was the minimum for a long gun. In these states, it’s no longer the case. It’s grossly unconstitutional and yes, the National Rifle Association is involved in legal action in Florida to get it tossed. That could take years, however. I just love the carve-outs. For Democrats, only the police and the military can own guns. They’re the only ones who can be trusted. Only people who are part of the institutional groundwork for establishing an authoritarian state can only own firearms. We’ve seen this movie before. And in states like Colorado, they’ve even had something of a test run. In Boulder, the city has outlaws so-called assault weapons, but have grandfathered in those residents who live in the area and already own AR-15s. These owners do have to get a certificate from the local sheriff’s office, however, but no one has done it en masse. There is no paper trail or database per se, but if this doesn’t sound like a mock gun registry, I don’t know what is. Reportedly, even pro-gun Democrats in the area are defying the ordinance. In Pennsylvania, there’s already opposition to the gun registry bill. Republicans control both houses of the state legislature, but there could be some squishes, especially those who represent suburban, moderate counties, like around the collar counties of Philadelphia that we may need to watch.